Background: During my college years I never took a class on anything even close to philosophy. It is still a new topic for me. 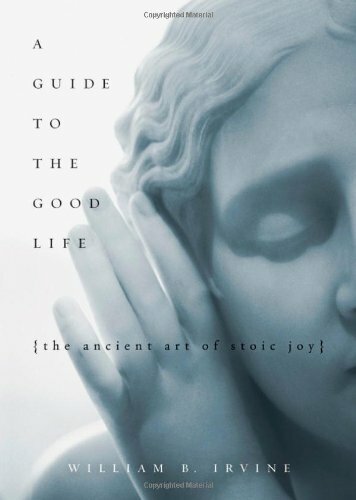 A Guide to the Good Life: The Ancient Art of Stoic Joy by William B. Irvine is a modern guide to Stoic philosophy. I found this book extremely well written. It took a topic I knew nothing about and explained it to me using modern English. I’m not keen on trying to derive meaning from two thousand year old sentences. After reading this book I think that I have been a closet Stoic for a while now. Well at least partially. Only I didn’t know it. Simplicity and resilience are two themes that I have been writing about for years now. People seem to grasp simplicity, but fail to understand resilience. Resilience is ability to resist or recover from a stress. Practicing Intermittent Fasting has made me more resilient against hunger. Cold Weather Training has made me more resilient against temperature. I could go on and on, but to me the goal of continually challenging oneself against known stressors is to become more adaptive to the unknown stressors when they arrive. Stoicism is a philosophy that is all about simplicity and resiliency. I learned a lot from this book including tranquility, goal setting, the opinions of others, control, personal values and active meditation. The author mentions that Stoicism has a lot in common with Zen Buddhism. One big difference is that Stoicism tends to appeal more to the analytical mind and those that have trouble with empty mind meditation. Me! I could easily keep on writing about the lessons in this book, but I want to keep this post focused on the book itself. A Guide to the Good Life is excellent. Like I stated in the top line disclaimer, this is a new interest for me. There may be better books on this topic or better philosophies. The author even mentions a few times that although he is a champion of Stoicism, he feels the important thing is to just discover a life’s philosophy. With a life’s philosophy one seeks a life of comfort as a default, which makes one less resilient. If you are looking a modern interpretation of an ancient philosophy I highly recommend A Guide to the Good Life. If you can’t read the book, check out this audio interview with the author. The interview begins at 5:56 on the clip and ends at the 39 minute mark.